We are an Independent driving school based in Basildon offering driving lessons, Block Bookings, Motorway Lessons and Pass Plus Courses. We have now been established for over 10 years. We currently have 17 Driving Instructors both Male and Female. We have a wide range of different cars. We are friendly, reliable, patient and honest driving school teaching each pupil at their own pace. 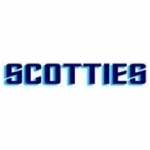 Scotties Driving School provide an excellent standard of driving tuition and have a very high 1st time pass rate. By choosing Scotties Driving School you have made a good move to getting on the road and becoming a safe driver for life. Terms: The above offers are not applicable to any pupils that are already doing lessons with us. None of the above special offers are open to any person who has a practical driving test booked The above special offers hours cannot be used to take a practical driving test. Payment must be made in full before the first lesson or on the first lesson.